So, that festive time of year involving copious amounts of food is over and done, and 2016 is slowly ebbing away too.. Which means it’s time for the yearly round-up! 2016 has been an incredible year for me work-wise, and although 2015 made me pretty dizzy to look back over I think this year has been busier than ever. 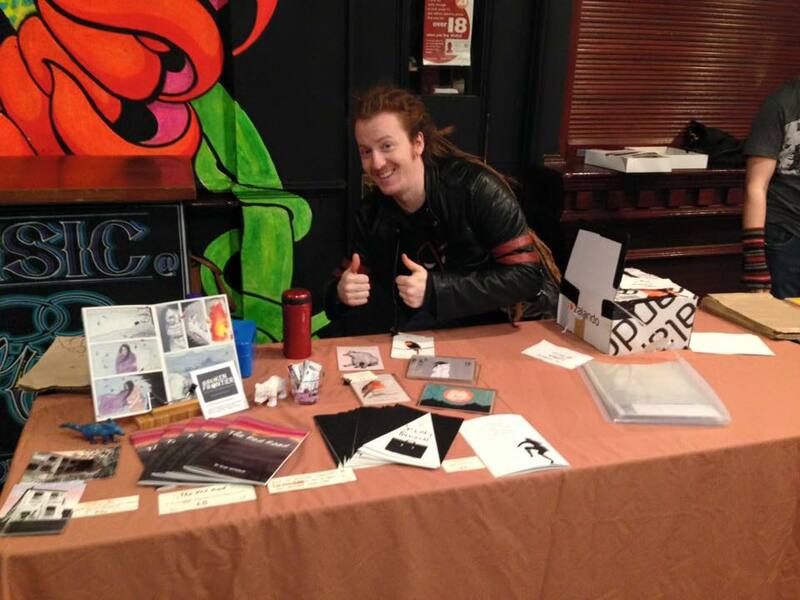 From CD artwork to competitions, the Small Press Yearbook to Sneaky Business, and all the way from graduating from University in the East Midlands to ending up in the North West. It’s been a busy one. The highlights of this year definitely include being so involved with Broken Frontier as one of the Small Press Creators to Watch in 2015. From creating my short story last year, the Broken Frontier Small Press Yearbook 2016 was announced right at the beginning of the year at the Laydeez do Comics event at Gosh! Comics, where I sweated my way through talking in front of an audience about my work, with Danny Noble and Andy Oliver doing a far better job. The launch in April was an incredible experience, with Gosh! Comics being filled to the brim with people here to look at Andy Oliver’s pride and joy, and the buzz remained well into helping out at Comiket and being asked to join in the Drawing Parade. Gosh! Comics has also been a stable feature of 2016 with the June Drink & Draw, and it’s neighbour Orbital Comics having some of us Six to Watch folks behind the table on Small Press Day, where Warren Ellis picked up a copy of Njálla and wrote about it in his newsletter. Speaking of which, Njálla was pretty much the focal point of my year. From the ideas conception in August/September 2015, I worked on the comic up until May 2016 including the terrifyingly successful Kickstarter campaign which led me to be able to fund the whole print run without any worry about the financial side of things. With Njálla completed and the rest of my work pinned up to boards, I finished my final year of University and graduated with First Class Honours in Illustration – so I guess all the hard work paid off! Another big highlight of this year has been the festivals; Comika and Small Press Day starting off the year, with Bristol Comic & Zine Fair and Thought Bubble finishing it up in spectacular fashion. Since spending more time behind a table and meeting more comics people I have the best time, and I can’t wait for what 2017 brings. Waffling aside, here’s a nice bunch of pictures from my 2016, which say it far better than I can. And that’s where we’re up to now! With my new release with Good Comics scheduled for Spring 2017 and a couple of other smaller projects in the pipeline there’s not much time to relax in the next few months.. But here’s to another excellent year, and I hope you’ve all enjoyed my ramblings. See you on the other side! Good morning laydeez and gentlemen! So, another week bites the dust and Laydeez do Comics has been and gone! It was possibly one of the most nerve-racking experiences of my feeble existence; standing in front of a room full of eager-eyed people actually wanting to hear what I had to say (or at least pretending to, anyway). Even with my neatly arranged cue cards I’m sure I probably missed something important, but overall it was a really fun evening – more about that shortly. In other news, university projects are getting busier than ever and in the next couple of weeks I’ll be starting to draw up the final pages of The Next Big Thing! 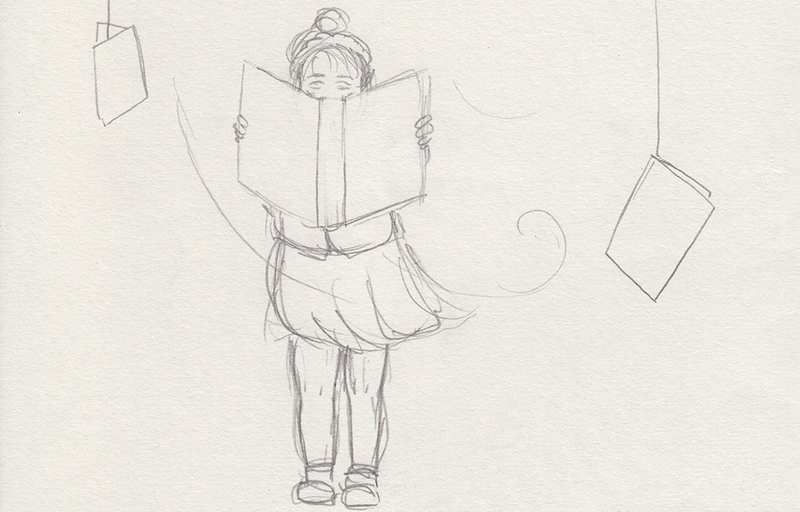 I’m keeping my working title under-wraps for now, though the reveal will be coming shortly. I’m also debating at the moment whether to move the blog to a fortnightly effort instead of weekly for the duration of this term, just to give myself an extra bit of time to work on my incredibly long to-do list, BUT I’m still mulling it over. So, I’ll let you all know! Now, down to business..
As you may remember from last week, I spend Sunday 10th creating the window display at Gosh! Comics in readiness for the LDC night this past Monday. Somehow the week between doing the windows and turning up to talk went past like a lightening bolt! I settled onto the warm and cosy train to London on Monday night with an 300-man army of butterflies in my stomach – no, not some strange new recipe, just nerves – and bolted across to Soho to meet with Andy Oliver (Editor-in-Chief of Broken Frontier and Danny Noble (Munday Morning, Ollie & Alan) for a calming beverage before the evening’s fun began. Gosh! Comics were wonderful hosts yet again for the Laydeez do Comics evening, and there were many familiar and friendly faces bobbing about. Andy Oliver took the reins for the evening and spoke first about the wonderful work he does at Broken Frontier, and the small press/independent creator focus they look at compared to the largely mainstream comics industry. Next up was my turn, and armed with my carefully designed presentation I managed to bumble on for probably far less time than I was meant to – aside from shaking like a leaf the whole way through I probably spoke at lightening speed too. Agh! After a short break, the last speaker was Danny Noble who entertained us all with her honest and witty comics, whilst talking about her practice and how she uses panels in a really interesting and diverse way. Inspiring stuff! HUGE thanks to Keara and Wallis for having us, and everyone who came out to see us talk! One of the main focuses of the evening was Andy Oliver’s announcements.. Sadly, after almost a year, the title of ‘Six UK Small Press Creators to Watch in 2015‘ is being filed away and the new Six have been announced! Us 2015 lot are being flung into the wide open world with our belongings in a bindle and are shunted out in to the cold harsh realities of life. Or, something like that. The new Six have been announced at LDC and will be announced officially on Broken Frontier in the coming days. They’re a talented bunch! Last night at London’s Gosh! Comics a very special announcement was made to the sell-out audience at the Broken Frontier special edition of the monthly Laydeez do Comics meeting. We’re very excited today to share that news on the site with the extended BF readership. Currently in pre-production, our inaugural Broken Frontier Small Press Yearbook will be available in the early part of this year. A near 100-page publication, it celebrates the work of our ‘Six UK Small Press Creators to Watch in 2015’ – Rozi Hathaway, Jess Milton, Danny Noble, Emma Raby, Alice Urbino and Adam Vian – in both colour and black & white. Each creator has contributed an 8-10 page story on the theme of “breaking frontiers” and interpreted that broad starting point with their own ever distinctive artistic voices. A natural extension of a year’s worth of dedicated coverage of these six very talented creators, the Yearbook is the ultimate expression of this column’s philosophy of “unearthing the gems of the small press”, and of bringing the work of comickers we have championed to a far wider audience. In due course you will be able to buy the book both online and from certain UK stores. But the prime philosophy of the Yearbook is to provide a promotional showcase for last year’s participants in our ‘Six to Watch’ initiative. To that end we’ll be sending out copies to selected publishers, micropublishers, and comics commentators as we seek to raise the profile of 2015’s half dozen stars-in-the-making across the medium. Andy Oliver – Broken Frontier: Announcing the Broken Frontier Small Press Yearbook – Championing our 2015 ‘Six UK Small Press Creators to Watch’ in Print! Follow the link to read all about it and even see a sample page from each of us! Which now means (for those of you avid readers who remember my ramblings) THE TOP SECRET PROJECT IS NO LONGER SECRET. WOOHOO! From May to September of last year I was working on this project, and although I could hint at it and show some images along the way, I couldn’t really say what it was for or when it’d be released. Low and behold, the 10-page silent comic which Andy kindly spoke of as my ‘best work to date’ will be released in coming months in the bumper Small Press Yearbook alongside the talents of Danny Noble, Emma Raby and more. Alongside the ‘Six’ are other top-name creators who have supplied work to support the project, being announced in the coming weeks – so keep an eye out on Broken Frontier’s Twitter and website for all the details.. Here’s a reminder of some of the work I created, and you can read more about the project from my previous blog post here. Top Secret Project – announced! With LDC behind me it’s now full-speed with University work in the run up to Easter (I know, it’s only January.. I have a very busy few months ahead). My dissertation needs finishing, the Next Big Thing needs drawing up, a couple of other competitions need doing, written assignment work needs completing, another commission needs doing, and somewhere between all that some kind of sleep would be marvellous. Oh, and I’m making a lávvu. More about that in a couple of weeks, though! For the meanwhile, here’s another sneaky peek of some development/practice figuring out the best composition before I start on the final pages. Exciting! And that wraps it up for this week! Back to the grindstone for another week of fun-times, and I shall be back next week with hopefully some more bits ticked off my very large list and more things to show you. For now, over and out. December Madness and Laydeez do Comics! So, another week bites the dust and the first round of assessment is looming eerily close by. Although I’m working in a haze which can probably be described as “I’m not really sure what I’m doing anymore”, things are getting ticked off the list and I’m vaguely, quietly confident that I’ll be in good stead by Christmas. Well, as long as I avoid any critique sessions where it’s advised to completely change my work.. Sigh. But anyway, I also decided it would be a marvellous idea to start getting up stupidly early in the week to do some mild exercise or yoga (don’t laugh) before getting to work before 8am, which seems to be helping my productivity somewhat. Though, I’m only on day three so far.. And I ache. First up, as you may remember from last week, I mentioned that I had something exciting up my sleeve to tell you all. WELL! I am over the moon to announce that I have been asked by the lovely Keara Stewart and Wallis Eates of Laydeez do Comics to speak as a part of the Broken Frontier themed evening, as one of the Six UK Small Press Creators to Watch in 2015! With the small press champion Editor-in-Chief Andy Oliver being the reason for so many people getting a chance of recognition and support, it’ll be a great chance to listen to his worldly comics wisdom. Alongside will be the fiercely talented and entertaining Danny Noble, of Ollie and Alan fame, and myself – probably still a bit love-drunk on brandy butter by that point. Laydeez do Comics London is held in Gosh! Comics in Soho, who are one of the biggest stores to support small press comics creators. Keara and Wallis have stepped up to take over as London Co-ordinators whilst co-founders Sarah Lightman and Nicola Streeten are taking a break to focus on their respective PhDs. here’s a snippet about Laydeez do Comics (LDC) from their website.. This coming Monday I’ll be attending my first LDC event as a member of the audience, with guest speakers are Mike Medaglia and Rachael Ball. Both are so excellent at what they do, and I can’t wait to be a part of the audience! And also, it’ll be good to see exactly what to expect a month later when I sit the other side of the table. Tickets for LDC are free, but must be booked and disappear incredibly quickly! If you’re interested in attending the Laydeez night in January, then best to pop over to the Laydeez do Comics website and sign up for their mailing list to be alerted when tickets are available (details are on the home page). So if you want to come and watch me pretend to know what I’m talking about, and see my first attempt at window painting.. Sign up now! But in all seriousness, big thanks to Gosh and LDC for letting my represent their values in the form of a window display and asking me to speak as one of the chosen six – I can’t wait! 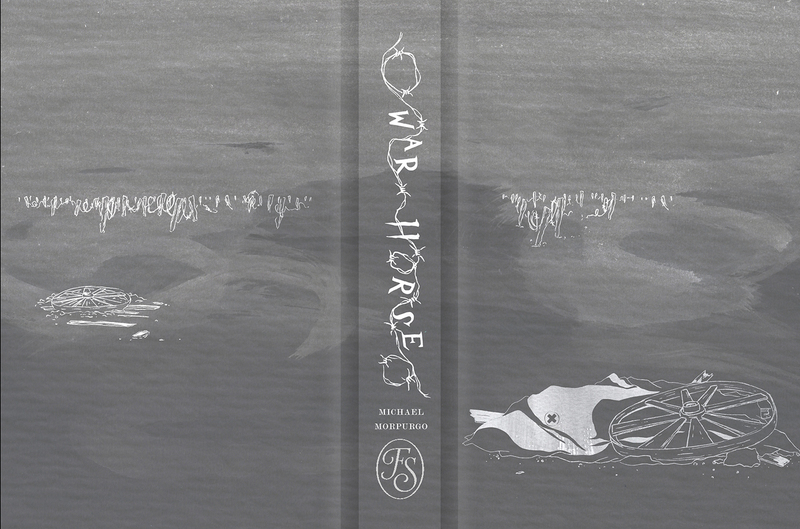 In other news, you may recall a few weeks ago me referring to one of my projects being the House of Illustration and Folio Society Book Illustration Competition for War Horse! The competition requirements is to produce a set of three internal illustrations and a binding design, to fit into their minimalist graphic style.The competition ends in January, but with assessment looming and final tutorials this week I’ve been working extra hard to get this ready! It’s been a strange project for me to do given that I didn’t particularly want to approach it in the character-centric style I tend to work in, as the general tone of the cheery children’s book is rather dark. Instead, I wanted to focus on the atmosphere, and use certain scenes and textures to give an effect of how very depressing it all was. I mean, the First World War wasn’t exactly all butterflies and flute music, was it? With that in mind, here’s my work in progress on the project to date..
I’m not entirely happy with the binding (front and back cover spread) just yet, but it’s not too far off I don’t think.. Book covers are not something I ever really did before University and I desperately struggled with the last one for Carrie’s War, so I have been determined to get this one right. As for the internal illustrations, I opted to completely avoid using ink lines for this and painted or printed everything using handmade collagraph plates, using Photoshop to put everything together nicely. Again, these aren’t completely 100% finished yet – but not far off. Finally, after I had a tremendous sell-out of greetings cards at Thought Bubble last month I’ve gotten round to ordering more and putting them up on my Etsy store! There’s a choice of three at the moment, with this year’s Christmas card design and two others. So, for an extra special card this year, pop on over to my Etsy store and check them out. Well well well, another busy one. I’ll be back next week after a during stressful assessment period, but hopefully with the Christmassy end in sight! 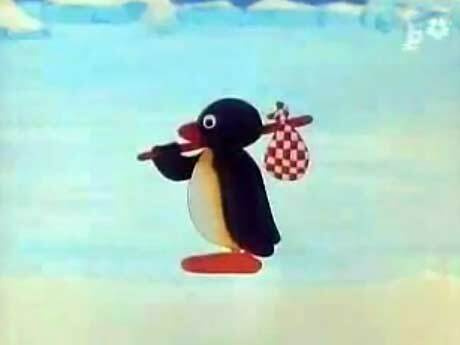 Low and behold I have another week of rather important emails, another commission and further uni work progression. So, with that in mind, and the kettle calling my name.. Over and out. Commission time, studio and whine. So, it is December. 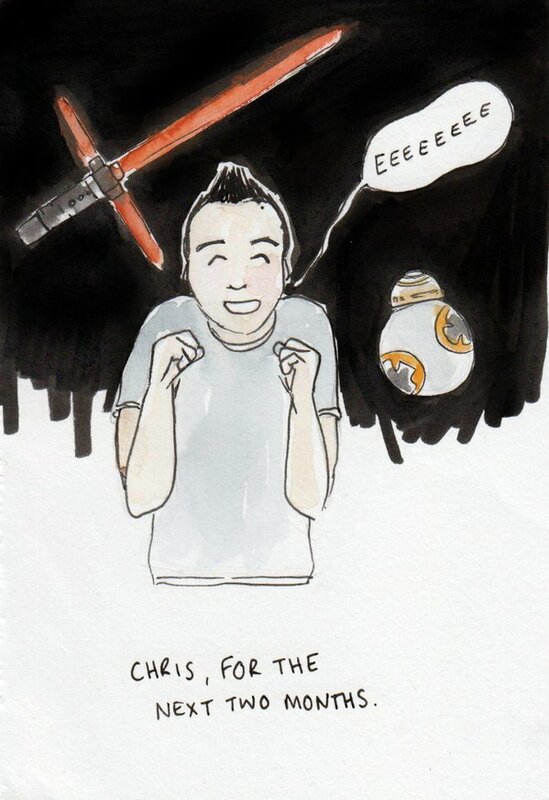 The Christmas month is upon us – and Star Wars, let’s not forget – so I can finally start throwing around the festive terms without being glared at for it being “too early”. Yay! In the days when I worked long hours in retail I really was not Saint Nick’s biggest fan. One day off for Christmas in which I was too tired to appreciate all the deliciousness of the food, and usually ill from some charming member of the general public spreading their germs, so wine was also out of my grasps. However, now I am a one-man-illustrating-band with nothing to fall back on, I can recline into the Christmas spirit with only.. 5 reflective statements that need writing, 4 lecturers confusing me, three incredibly important projects looming, two pounds sterling to my name.. and a partridge in a pear tree! Onto jollier things, these past few weeks I’ve been communicating back and forth on a couple of exciting commissions. 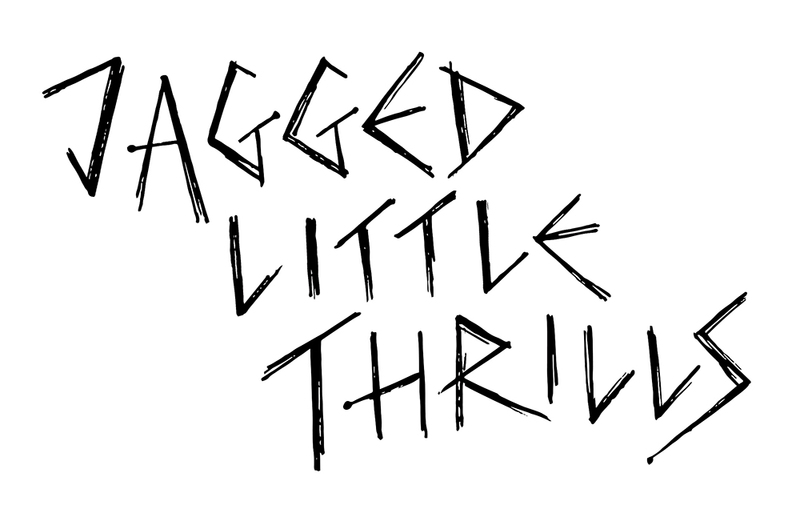 First things first, through a mutual friend I managed to land a job creating a t-shirt design for local Northampton band Jagged Little Thrills, who have recently been signed to Blow The Roof Records! Their debut record ‘The Last Alibi’ will be released on 26th February 2016 through their new record company, and little old me has designed their promo. Lovely stuff! 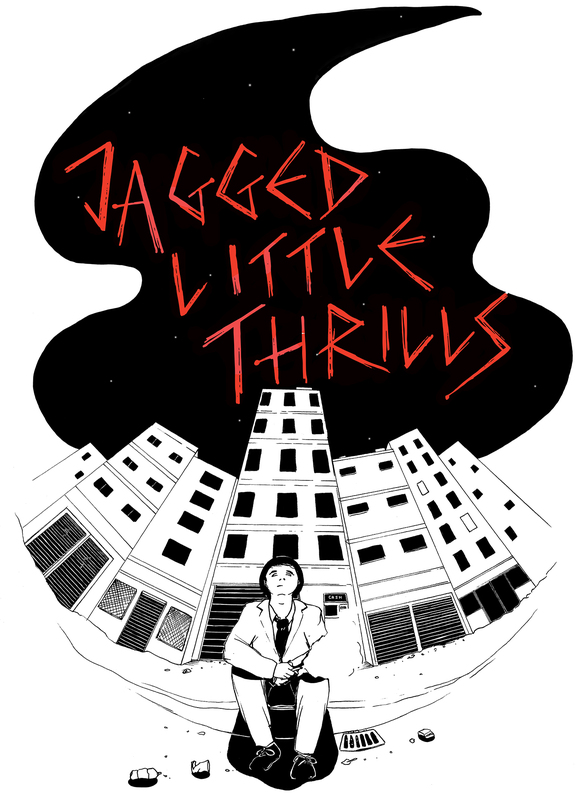 I really enjoyed working on this for the gents of Jagged Little Thrills; it’s been a pleasure! From creating a hand-lettered font for the design, to drawing up something for screen-print (which the process involves only printing in block colours with no gradients), it’s been a refreshing challenge and a joy to do. So, thanks to the band for having me create this for them! The record release show events are up already, so if you’re local to the area then please do come down to The Charles Bradlaugh on Friday 26th February, or The Victoria Inn on Saturday 27th February. Plus, if you need any more convincing, it will be my birthday weekend and also two weeks until my dissertation is due.. I’ll need all whiskey I can get! The second commission I’ve been working on recently is for the Northampton Hope Centre, a charity which focuses on helping people in need such as; the homeless, vulnerably housed, people with alcohol and/or drug related issues, people with physical and mental health issues, refugees and asylum seekers, elderly people experiencing poverty, and anyone who is down on their luck. The Hope Centre offers a warm and safe environment with basic essentials such as hot food and showers, second hand clothing, creative activities and life skills workshops, all the important things to try and help people get back on their feet. 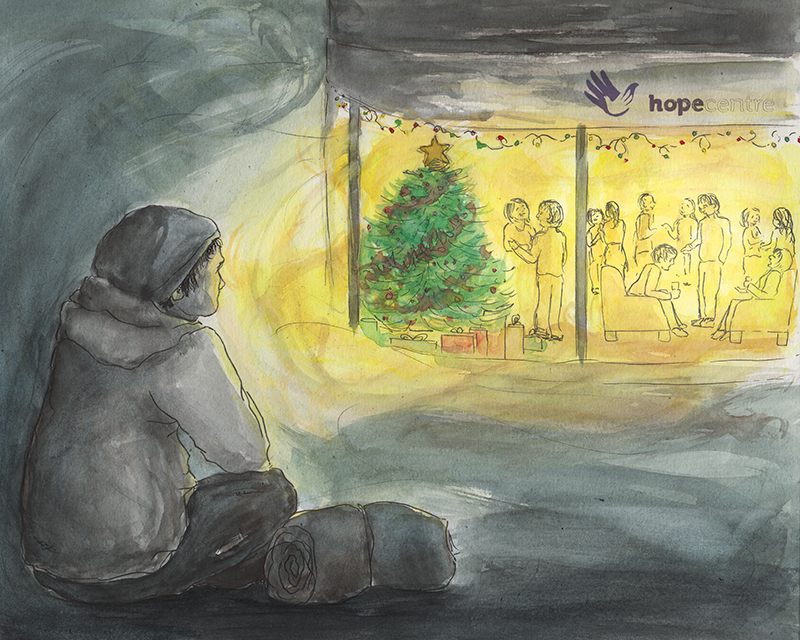 I approached the Hope Centre to see if they needed anything doing, and thankfully they got in touch for some meetings and I’ve ended up creating an image for their Christmas Campaign. The image, which is to be used in their newest newsletter and hopefully the website too, is working towards appealing to businesses to help out with such an important level of care for vulnerable people in and around the local community. Hopefully in the next couple of weeks I can get my hands on a hard copy of the newsletter and see my work in editorial print for the first time! In other news, this past Sunday I attended the local Northampton Comic Mart, the first of it’s kind run by Jeff Chahal; the owner of Northamton’s comic shop Close Encounters (also in Bedford and Peterborough). It was a small and cosy event in the back room of The Racehorse pub on Abington Square, mostly focused on the store selling back issue comics at a discounted rate, though with independent creators and small press also having a couple of tables. I was there with my talented uni friend Alex of How To Buy A Ninja, and Martyn Lorbiecki selling our finest comicy goodness, and on the other side of my companions also happened to be Paul B Rainey who also created work for Samuel C Williams‘ Dead Singers Society zine. What a small world! It was a chilly but fun afternoon, meeting new people and watching people giggle at Alex’s comic strips. With both the commissions and the event ending up at the same time, it’s been a bit of a stressful week or so making sure I juggle everything in the right order. So, this week my challenge is to get fully stuck back into my university assignments! With less than two weeks until my presentation assessment, I’ll be madly finishing off the work I’ve been doing for the House of Illustration and Folio Society Competition entry for War Horse, which I hinted at last month with some collagraph printing, more dissertation reading, and further progress on The Next Big Thing. Busy busy. Though, I have some more exciting things up my sleeve to tell you all about next week, with an news regarding the lovely Laydeez do Comics in London! So keep an eye out for that.. Though for now, I’d best get back to the grindstone. Coffee calls! Until next time..